There will likely come a day when humanity itself has shuffled off the mortal coil, leaving behind nothing but data to list our accomplishments. However, most of the data storage methods we currently have only last a few decades if we’re lucky. The accumulated history of mankind surely deserves more longevity than that, doesn’t it? A team of Dutch and German researchers have developed a technology that could hold readable data for up to 1 billion years. That ought to give someone a chance to find it and learn how great we were. If you want data to last for a long time, all the fancy high-density hard drives and magnetic media is right out the window. These technologies can be corrupted over time and rely on moving parts that may simply fail by the time a future society finds the physical storage medium. The team approached the problem of super-long-term data storage from an angle of optical consistency. The first step was to devise a material that could remain stable for eons. The team settled on elemental tungsten because it has a very high melting point of 3,422 degrees Celsius and low thermal expansion. Basically, if you build something out of tungsten, it will remain mostly unchanged over time. Tungsten is somewhat malleable, though, so the researchers encapsulated the metal in silicon nitride. This inert solid is durable and is transparent to light, which allows the tungsten pattern to be visualized. 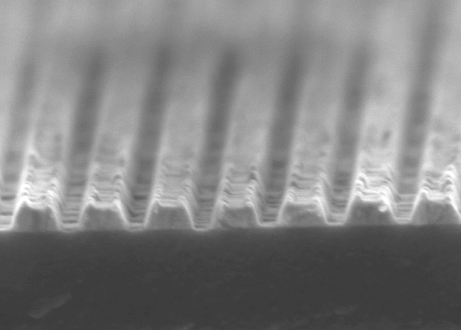 The optical disk developed by the researchers employs an increasingly common type of 2D matrix barcode called a QR code. You’ve probably seen them on product packaging and in advertisements. It’s a way to encode a block of text that can be read with today’s mobile devices, but the underlying binary nature of a QR code should be understood by any sufficiently advanced society in a post-human future. QR codes also have built-in error correction, which is useful when you’re too extinct to make corrections. The codes produced by the team consisted of a large QR code that encoded only basic data, but each oversized pixel in that code was itself a smaller complex QR code that contained much more data. 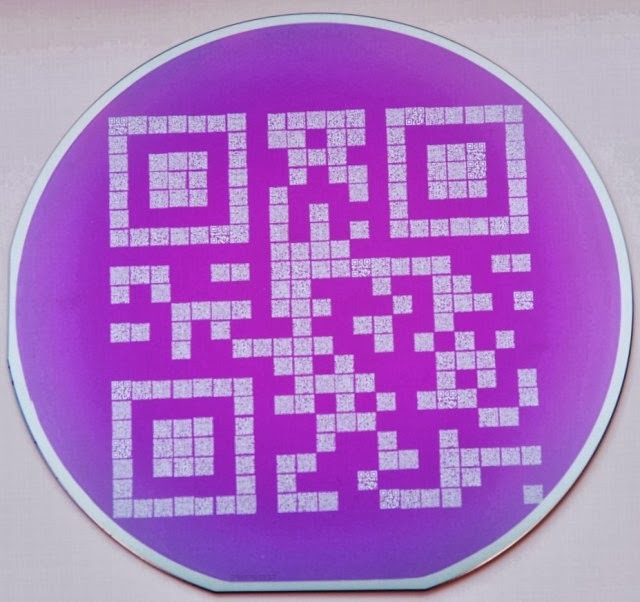 The lithographic etching process used on the tungsten surface could produce line widths as small as 100nm, allowing for higher data density than any commercially available QR code. You would, of course, need a microscope to read the matrix later. Data density could even be pushed to the point that an electron microscope is needed to read it. Simply having readable data in the finished product is only the first step, though — it also needs to last. Since waiting a million years to find out about longevity is a poor use of time, the researchers used elevated temperatures to simulate it, which is a common way to test aging. The paper claims that two hours at nearly 500 degrees Celsius resulted in a code that was damaged, but still readable. This works out to over 1 million years of potential life for the tungsten/silicon nitride disk. The team feels that with refinement, reaching 1 billion years is likely. That’s considerably longer than past experiments with sapphire-based materials. The team admits this is just preliminary research. The tungsten discs could end up being less stable in real life than the initial testing indicates due to the elements or exposure to chemical agents. A completely different data storage mechanism could also prove to be a better choice in the long run. This is probably something to get right — we won’t get a do-over when it comes to preserving our knowledge.